The 2010 Day of Exegetical Reflection at Concordia Seminary featured noted evangelical scholar Donald A. Carson. Dr. Carson presented two lectures on the Parables of Jesus, which were followed by comments from Concordia Seminary and Concordia University professors. The Day of Exegetical Reflection provides on opportunity for participants to interact with scholars engaged in biblical studies from within a creedal and confessional perspective. 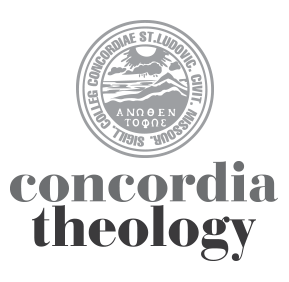 Each year, participants hear from the faculty of Concordia Seminary and invited guest presenters who have produced significant and helpful studies on the Scriptures. Donald A. Carson is research professor of New Testament at Trinity Evangelical Divinity School in Deerfield, Ill. He has been at Trinity since 1978. Dr. Carson’s areas of expertise include biblical theology, the historical Jesus, postmodernism, pluralism, Greek grammar, Johannine theology, Pauline theology, and questions of suffering and evil. Dr. Carson has written or edited more than 50 books, including The Sermon on the Mount (Baker, 1978), Exegetical Fallacies (Baker, 1984), and Becoming Conversant with the Emerging Church (Zondervan, 2005). His book, The Gagging of God: Christianity Confronts Pluralism (Zondervan, 1996), won the 1997 Evangelical Christian Publishers Association Gold Medallion Award in the category “Theology and Doctrine.” Dr. Carson was founding chair of the GRAMCORD Institute, a research and educational institution designed to develop and promote computer-related tools for research into the Bible, focusing especially on the original languages. Morning Sessions: The Parable of the Good Samaritan (Luke 10:25-37) and The Parable of the Rich Man and Lazarus (Luke 16:19-31). Panel discussion with Dr. Timothy Maschke of Concordia University, Wisconsin; Dr. James Voelz and Dr. Jeffrey Oschwald of Concordia Seminary. Afternoon Sessions: The Parable of the Bags of Gold (Matthew 25:14-30) and The Parable of the Sheep and Goats (Matthew 25:31-46). Panel discussion with Dr. Mark Schuler of Concordia University, St. Paul; Dr. Jeffrey Gibbs and Dr. Jeffrey Kloha of Concordia Seminary. The 2011 Day of Exegetical Reflection will be held on September 19 in conjunction with the 2011 Theological Symposium on September 20-21.